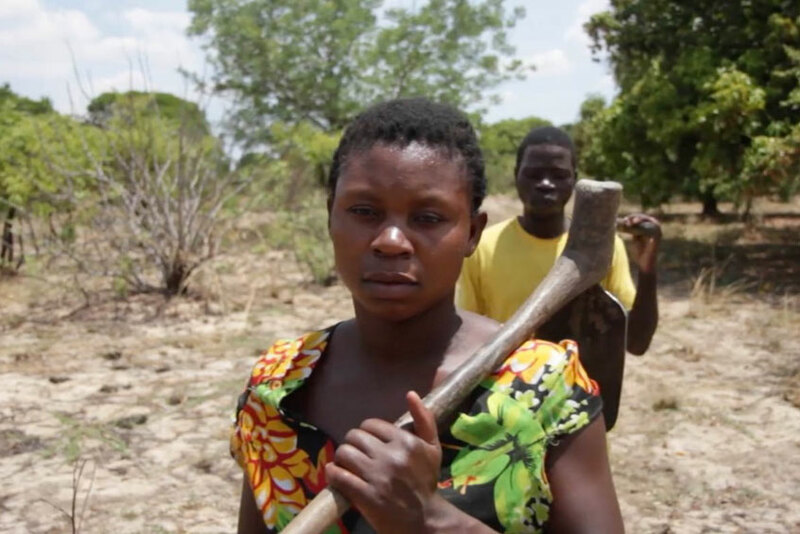 Justin Sibeso and his wife Mukatimui Nyambe from Mbanga village in Zambia's Barotse floodplain. In Mbanga village in Zambia’s Barotse floodplain, Justin Sibeso Mwangala and his wife share almost all household duties. They farm together, jointly decide how to spend household income and share cooking and child rearing responsibilities. This time of year, around International Men’s Day – marked annually on 19 November with goals including recognizing men working for gender equality and positive male role models – is an opportunity to recognize and celebrate stories like Justin’s. These stories are important because they shine a light on men who embrace gender equality, even in the face of inequitable gender norms and attitudes. Justin Sibeso helps around the house by sharing the cleaning, cooking and childrearing responsibilities with his wife. In Zambia, as in many other countries and societies, men are taught to be ‘masculine’ and that means acting in certain ways and being ‘strong’, in line with male stereotypes. They learn that as a man, they should be in charge of the household and be the sole financial decision maker. Justin and his wife once lived like that, which is typical in their community, but it did not make for a happy household. Justin would go alone to do farming work. By his own account, he kept all the income to himself, often spending it on beer. His wife was left to earn money for herself by weaving and selling baskets or working in the fields. After a hard day working, she still had to fetch water, wash the plates and cook food. This started to change. On the advice of some good friends and his church, Justin stopped drinking beer and started changing how he was at home. Now he and his wife make decisions together, collaborate on household work and work for income, and both express that they are better off because of it. 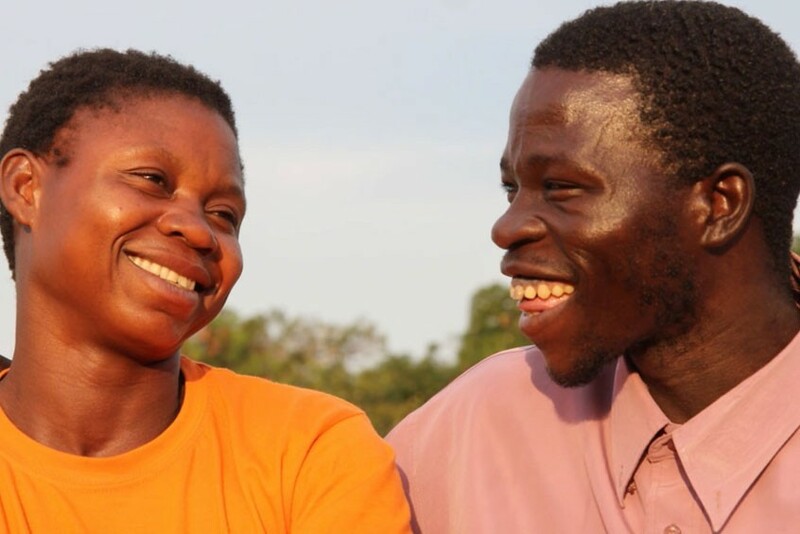 Justin’s story, and emerging results from WorldFish’s programs, highlight how the involvement of men in change processes around gender is important to achieving gender equality and development outcomes. WorldFish has been piloting a gender transformative approach in some of its projects to bring men and women together to reflect on ways in which locally-identified, more gender-equal norms and practices can help women, men, boys and girls. 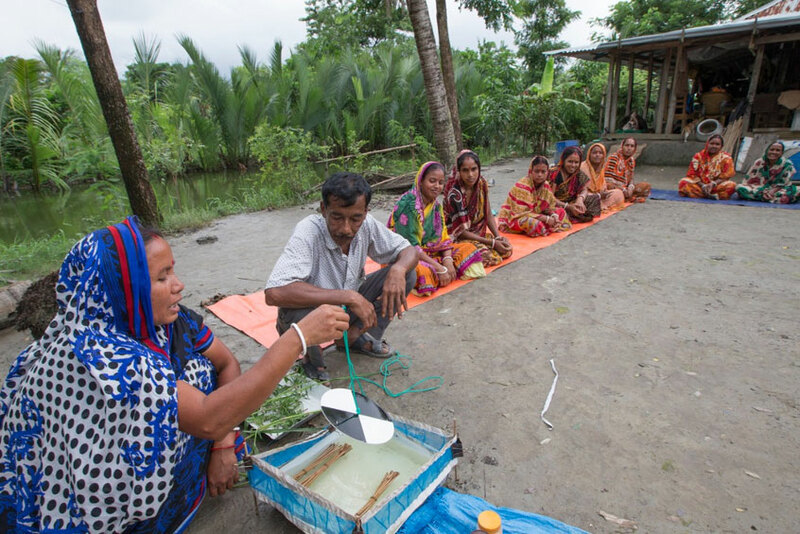 For example, in Bangladesh, many women who attended technical training on good practice in aquaculture, as part of the WorldFish-led CSISA-BD project, could not apply the learnings. They still needed permission from their husbands or other household members, who controlled the fish pond and restricted their movements outside the house. Training session underway in Khulna, Bangladesh. Photo by Yousuf Tushar. As a result, WorldFish piloted the integration of gender transformative sessions that included some involvement of female participant’s husbands—and sometimes other powerful household members such as mother-in-laws—in the project, and another more extensive pilot underway in an AIN and L&F collaboration. Similarly in Zambia, women who joined the savings and internal lending groups (SILC), established under the CGIAR Research Project on Aquatic Agriculture Systems Program, were still subject to the influence of their husbands, who typically controlled the household income. When the project started involving men in gender-related discussions as part of SILCs, they started to understand how the whole family could benefit. As a result, more men supported their wives saving and engaging in businesses, more men joined SILC groups, and more women and men began jointly deciding how to spend household funds. One of the lessons that emerges is the extent to which research and development agencies need to recognize that women live and operate in relationships within households and communities. If we only engage with half of the actors involved in the gender equation in the pursuit of equality, we undercut our ability to spark lasting change. Justin and Mukatimui now work together in the fields, and jointly decide how to manage their farm. In many developing country contexts, a big challenge facing men who are trying to work more cooperatively with their spouses or other women is negative community perceptions and ridicule. WorldFish is aspiring to build on and amplify the seeds of change that these men—together with women—are sowing. The work aims to reduce barriers that men and women face in trying to live out their aspirations for more gender equal lives, as part of their building better lives together. So, let’s celebrate men like Justin and those around us, who are working for better lives for their families and their societies, by being men working together with women for change. Editor’s note: Carrying out this work at WorldFish, is a team of ten gender researchers, half of whom are men, half of whom are women. Based across the world – in Zambia, Egypt, Solomon Islands, Bangladesh and Myanmar – these men researchers are leaders and role models in their own right in relation to the goal of gender equality. Kudos! Surendran Rajaratnam is a Senior Research Analyst at WorldFish, where he conducts a range of gender studies in its program and scaling countries in Asia and Africa. He also worked on CGIAR’s large-scale GENNOVATE study, which examined gender in aquatic agricultural innovation processes in Bangladesh and the Philippines. These studies have been published as briefs, reports and journal articles. 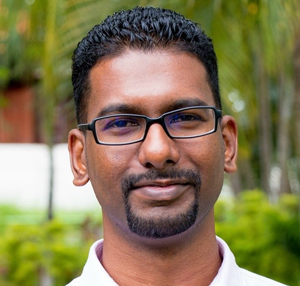 Surendran sits on the Executive Committee of the Gender in Aquaculture and Fisheries Section (GAFS) of the Asian Fisheries Society and serves as editor of the section’s newsletter. He obtained his master’s in 2013 and is currently pursuing a PhD at Universiti Sains Malaysia.